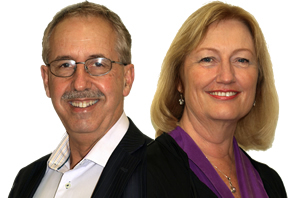 The directors, Steve and Sandra Barnett, are organisational innovators with 50 years experience between them. They are skilled collaborators with passion to transform people, organisations and processes for increased productivity.Their key to success is in collaborating for learning that transforms working interrelationships within organisations. Steve and Sandra began trading as Omnicom Organisational Communication Consultants in Feb 1999, consulting and writing in marketing communication and management education. Since then their activity has ranged from designing organisational transformation projects; through developing and managing collaborations and partnerships; authorship in organisational communication and in organisational change in mental health services; creating and managing new learning-systems; designing interactive marketing communication systems; providing professional education services in business and health change-project management; and consultancy to education regulatory bodies and providers. Omnicom OCC Ltd was formally incorporated in April 2007.